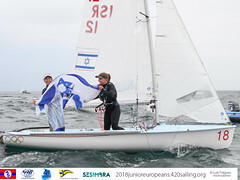 The Notice of Race for the 2015 470 World Championships taking place in Haifa, Israel from 10-17 October has been published. Taking place from 10-17 October 2015, the Championship will get underway with a qualification series, before teams are seeded to gold and silver fleets for the final series. 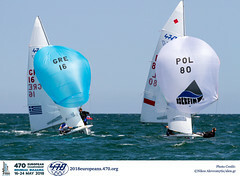 The top ten 470 Men and 470 Women from the final series will then advance to the podium deciding Medal Race. Charter boats are available with details in the Notice of Race. 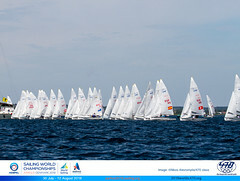 Entry is open at 2015worlds.470.org and enter before 10 September 2015 to take advantage of the Earlybird Entry Fee of EUR300. The 2015 470 World Championships will be the second qualifcation event to the 2016 Olympic Games, after the Santander 2014 ISAF Sailing World Championships in Spain during September 2014. Based on the Olympic Qualification system 6 nation places in the 470 Men and 3 nation places in the 470 Women will be on offer. Check the 2016 Olympic Qualification System for details.